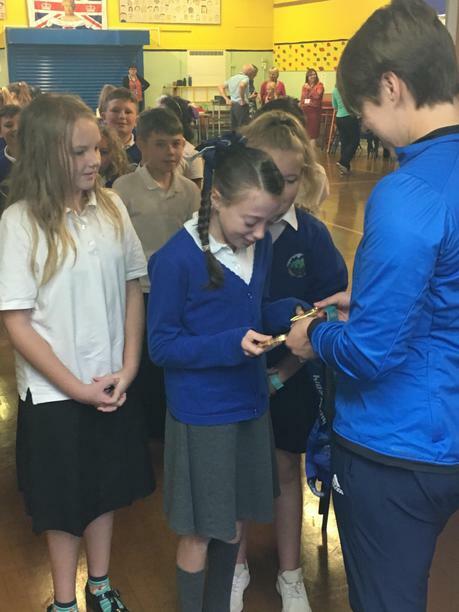 A huge well done to some of our Y6 pupils who took part in a 'Beetle Drive' for some local residents at Cornwall Gardens in Tenbury. 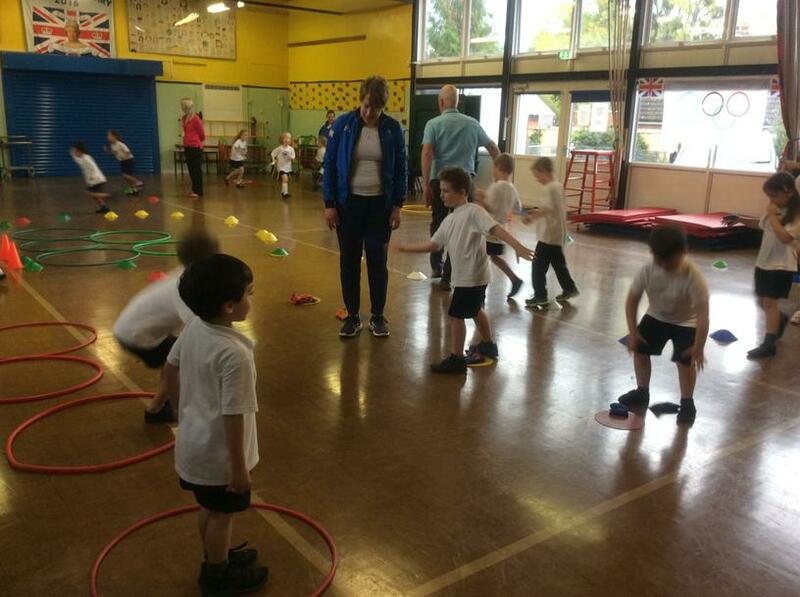 Much fun was had by all and more visits are planned! 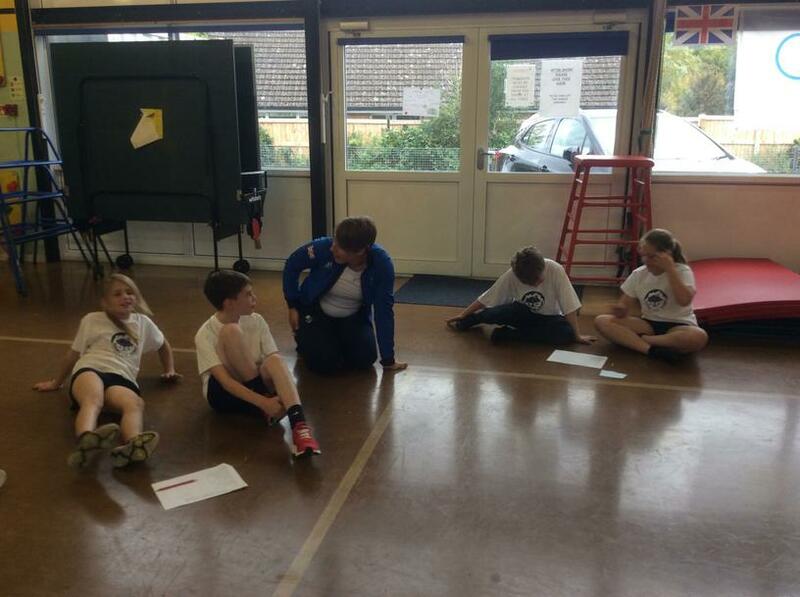 Election of the new Junior Mayor of Tenbury Wells! 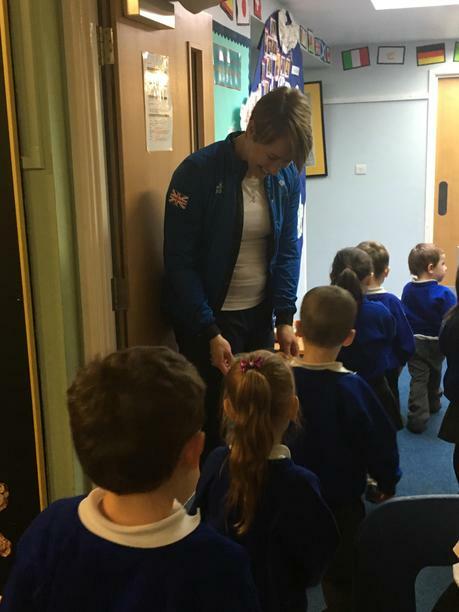 Getting ready to switch on the Christmas Lights! 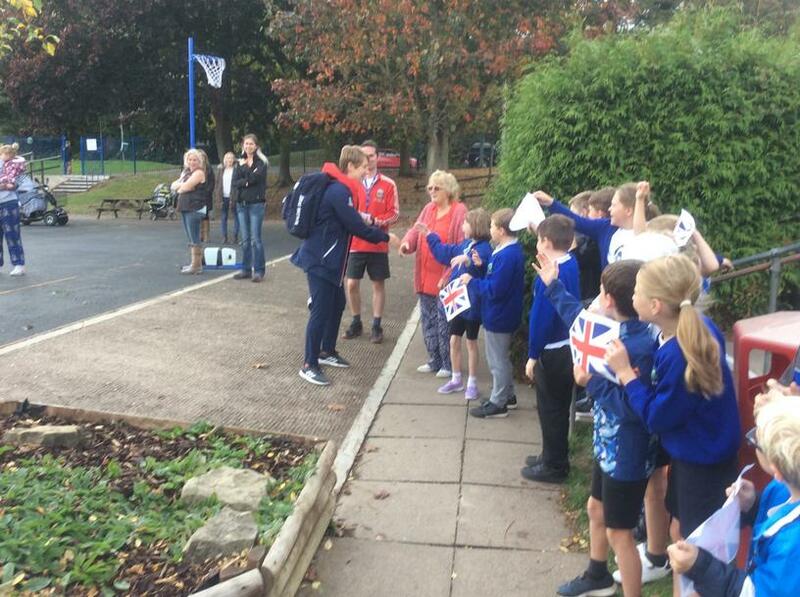 Following an election in Squirrels Class (Y6), the first ever Junior Mayor has been democratically elected! 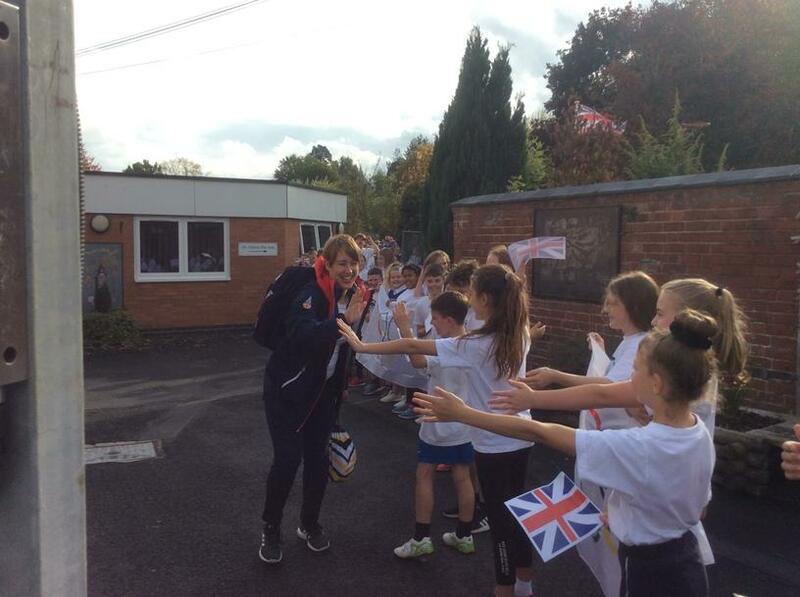 Her first official duty will be to switch on the Christmas lights in Tenbury on Saturday 17th November - come along to see her in action! 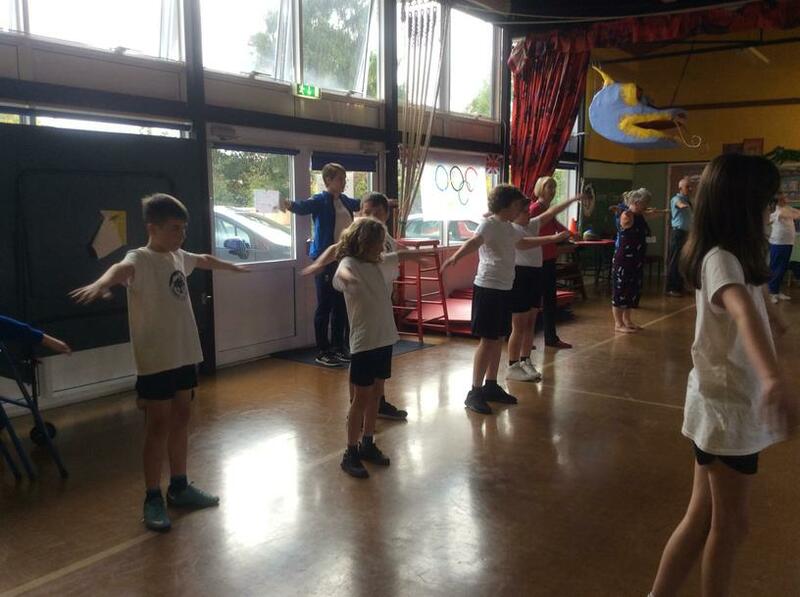 Some of the children from our academy decorated pebbles which were then used to create a Garden of Remembrance in Tenbury Civic Gardens, along with commemorative benches and a soldier, as it was the centenary of WW1. 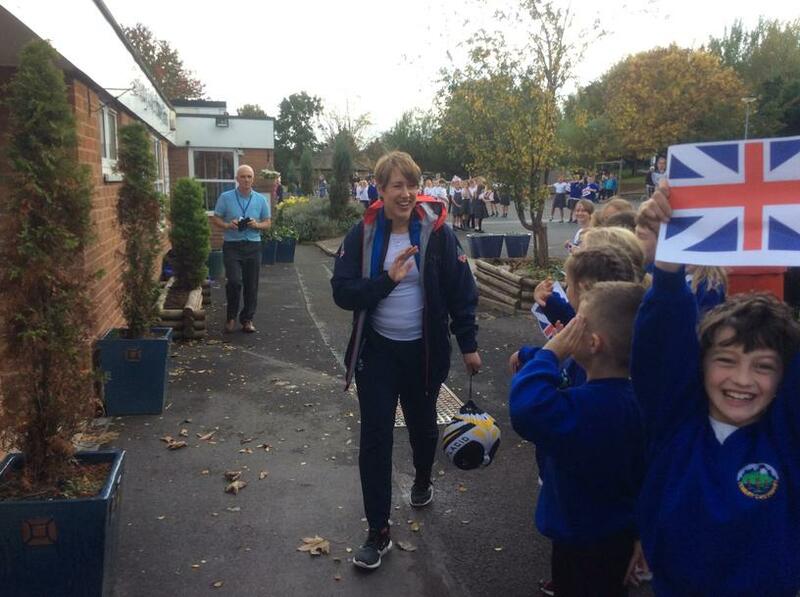 A special dedication service was then held on 11th November, following the Remembrance Day Parade and church service. 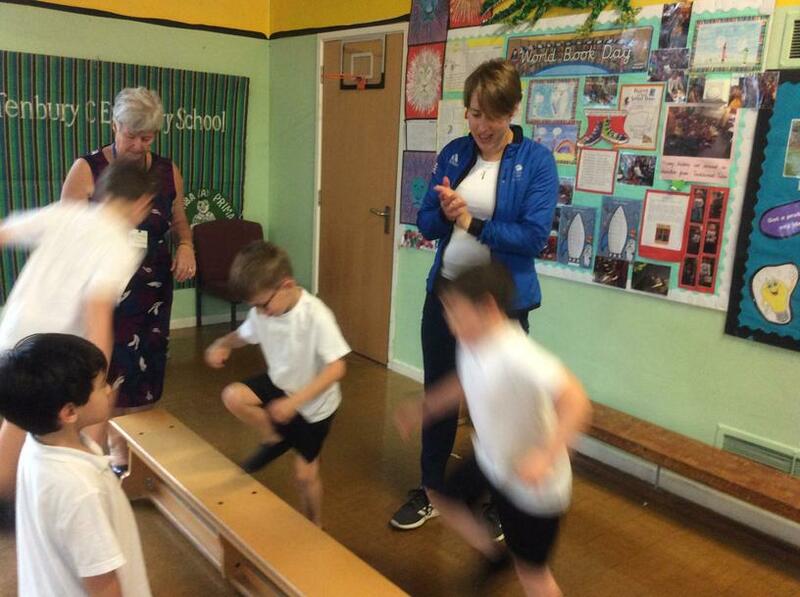 Please go along and have a look - it has created a very special place. 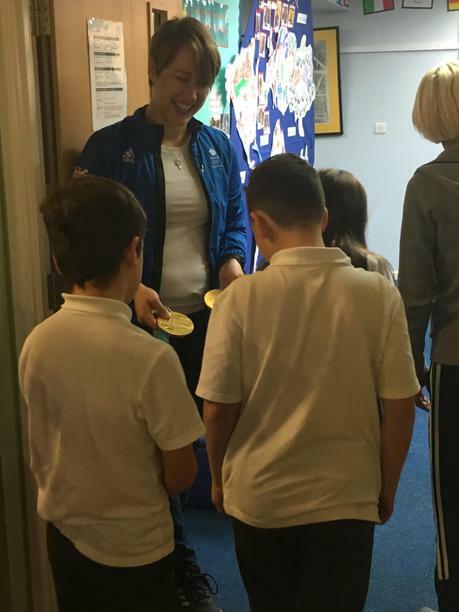 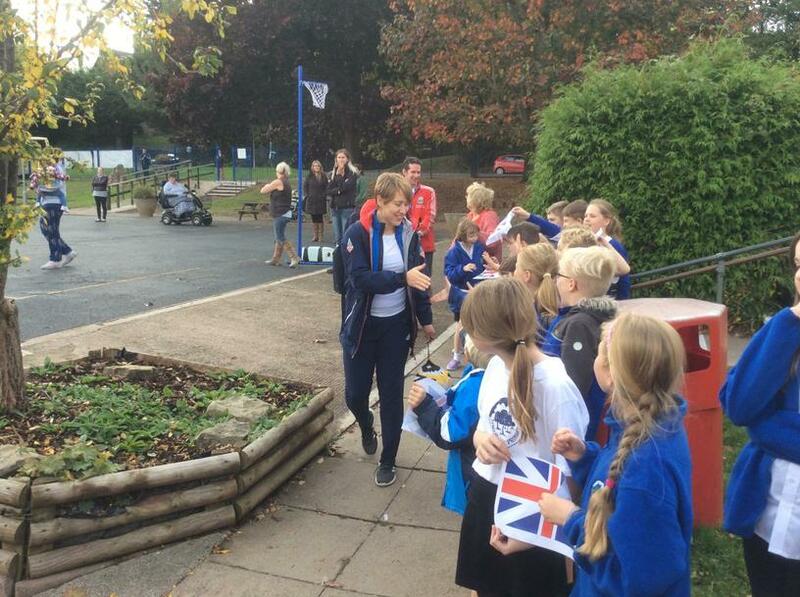 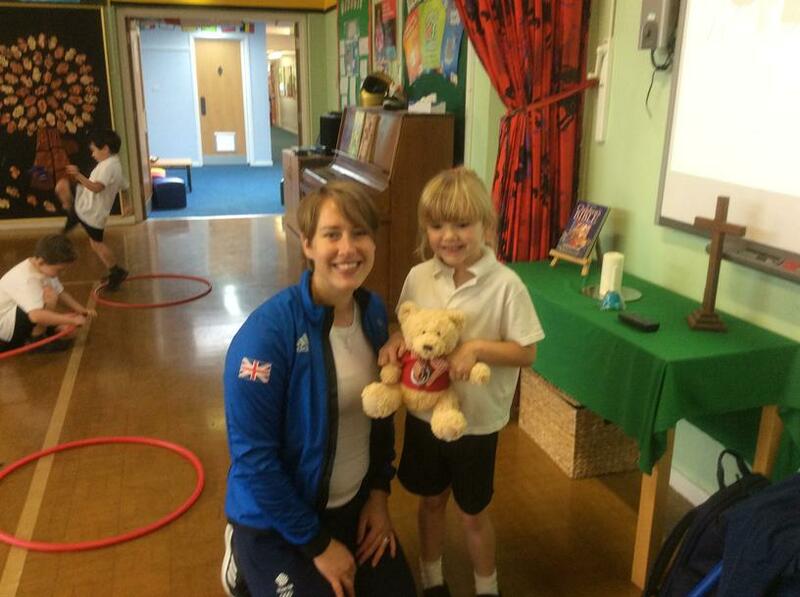 Everyone had an amazing day when Lizzy Yarnold, twice Olympic Champion in the Skeleton, visited our school. 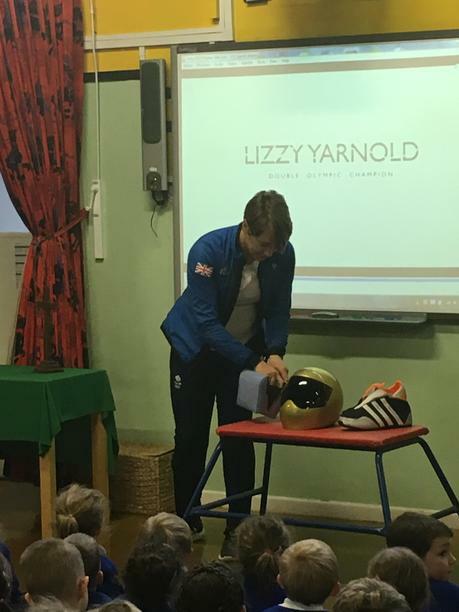 She gave an inspirational talk in assembly, encouraging all of us to show courage and determination and follow our dreams! 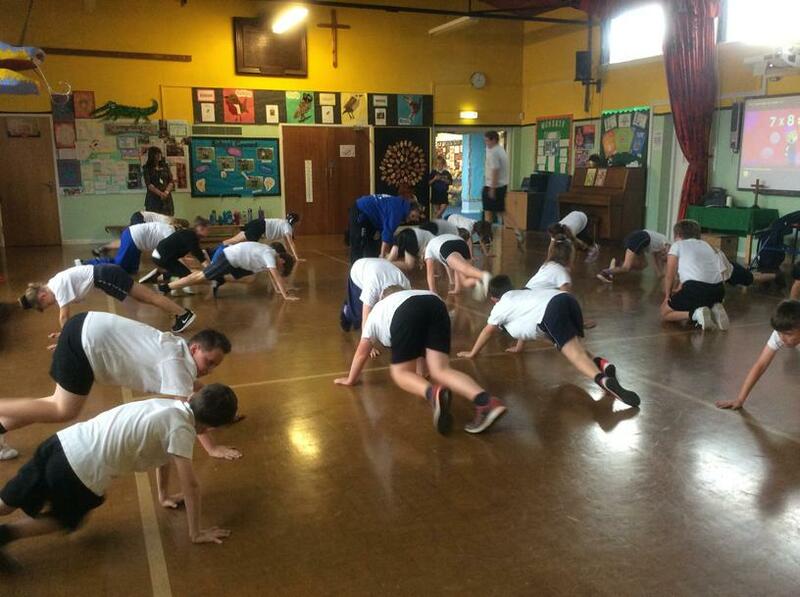 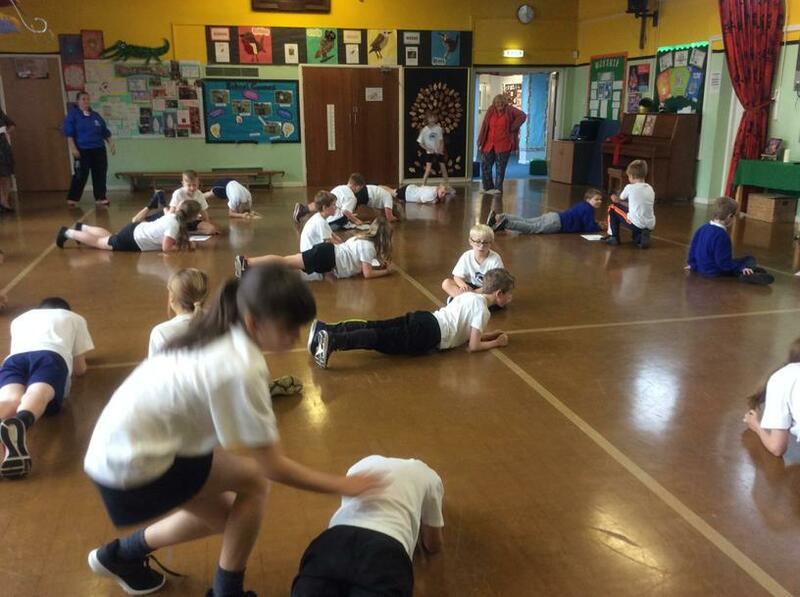 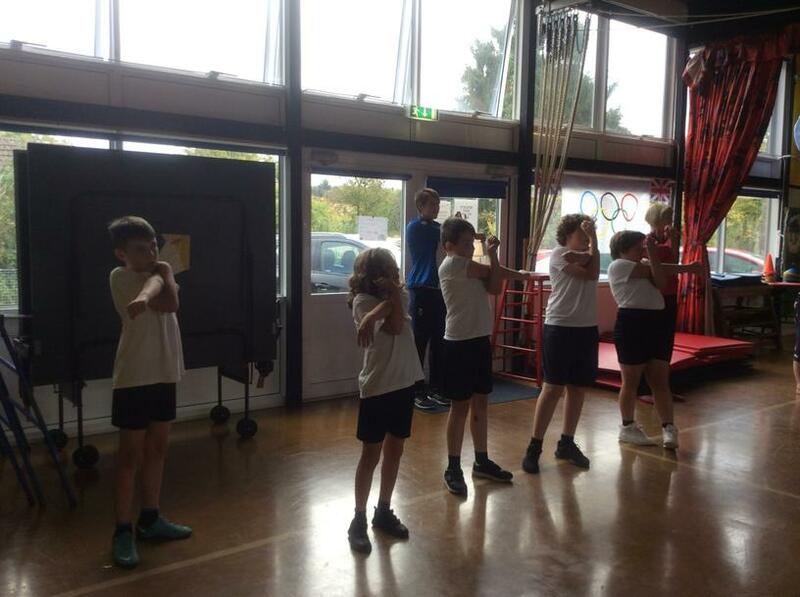 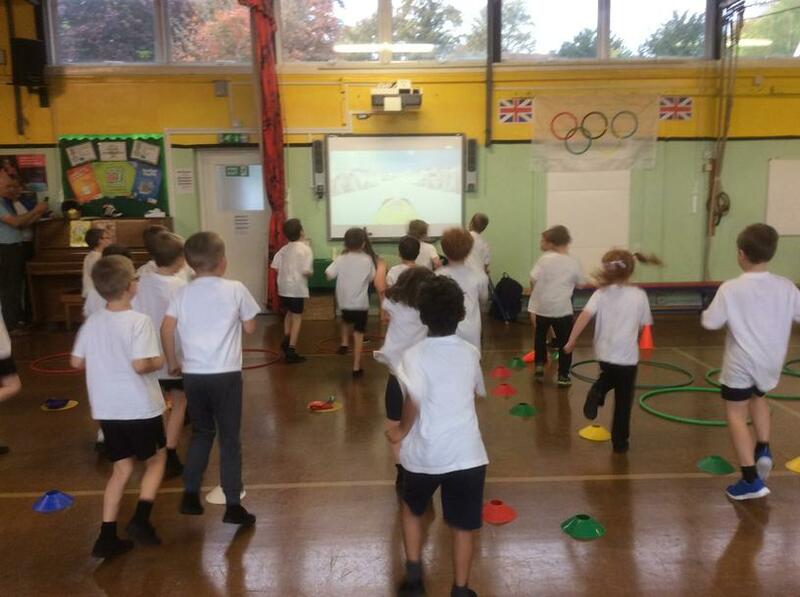 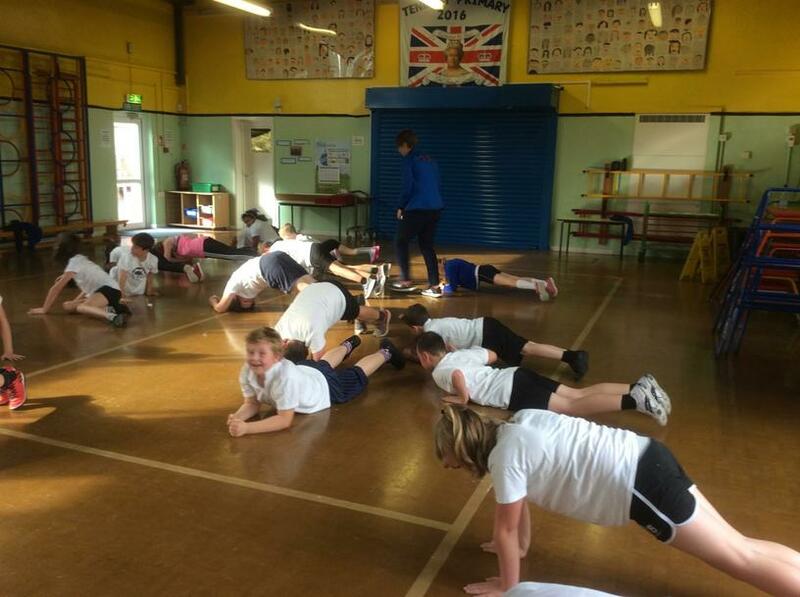 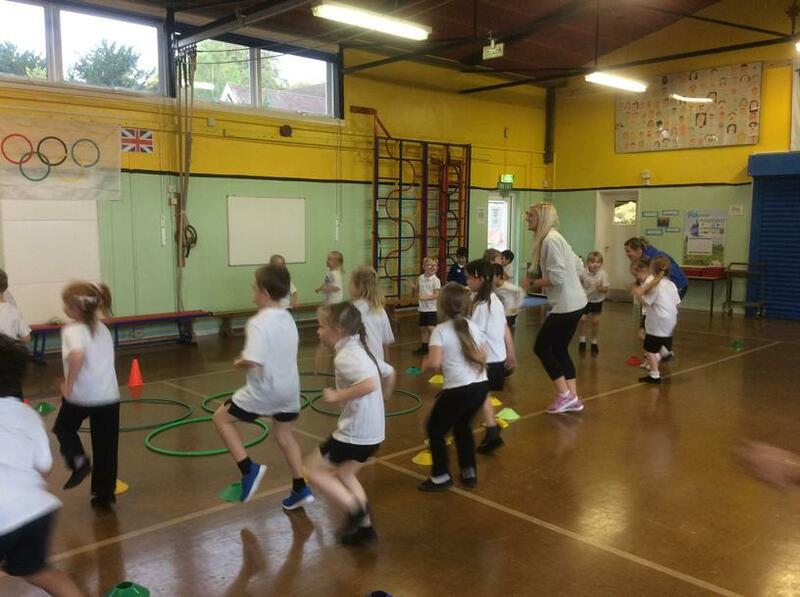 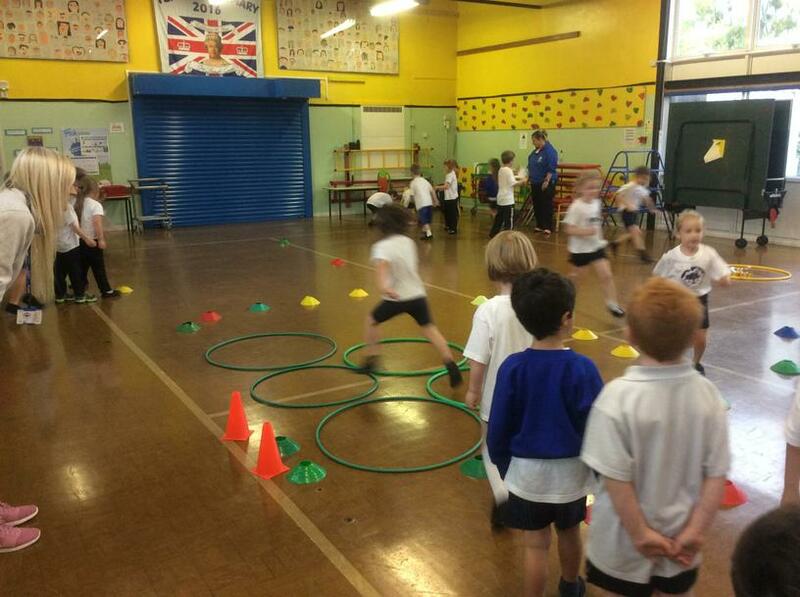 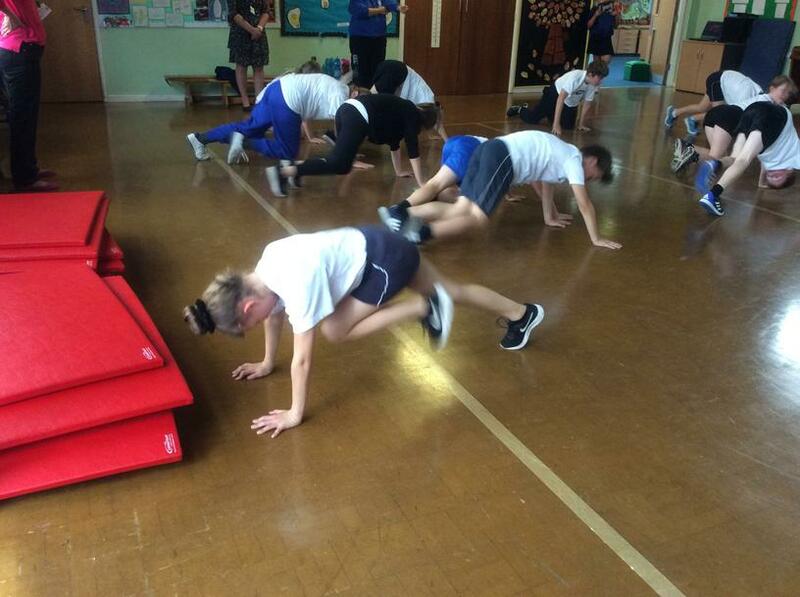 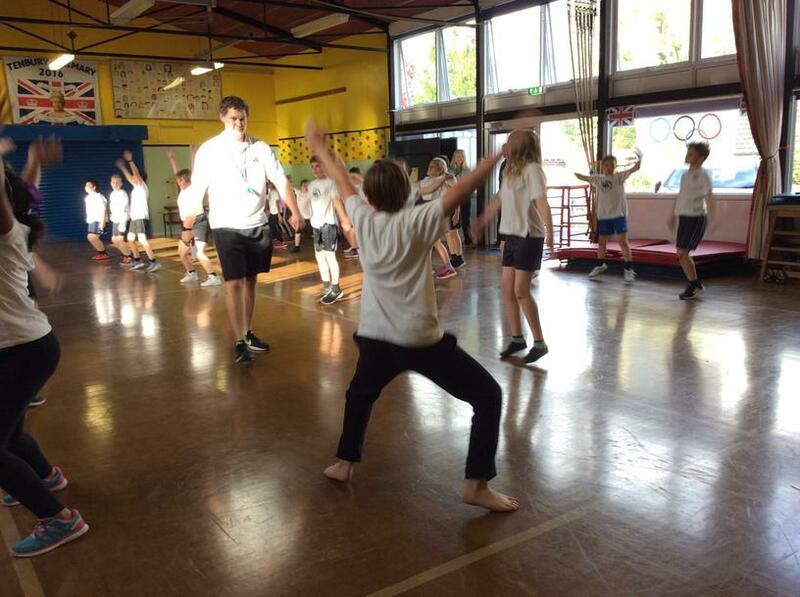 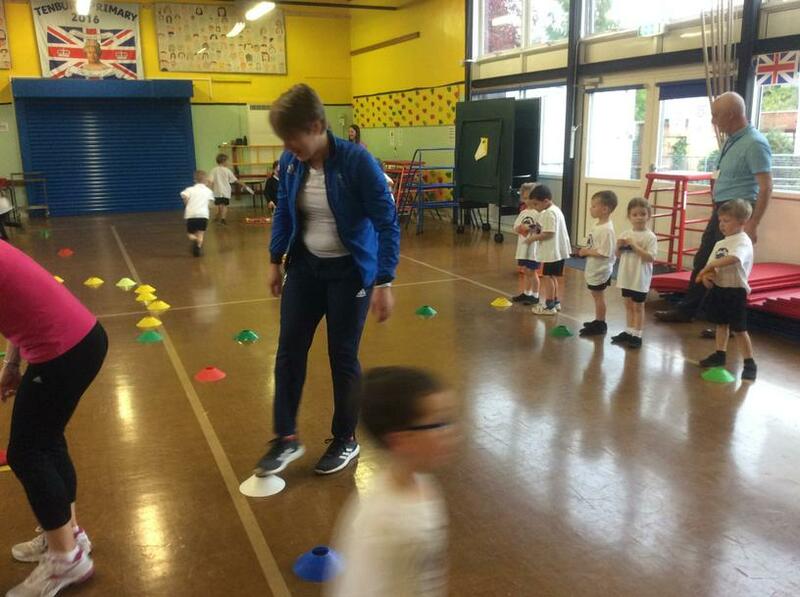 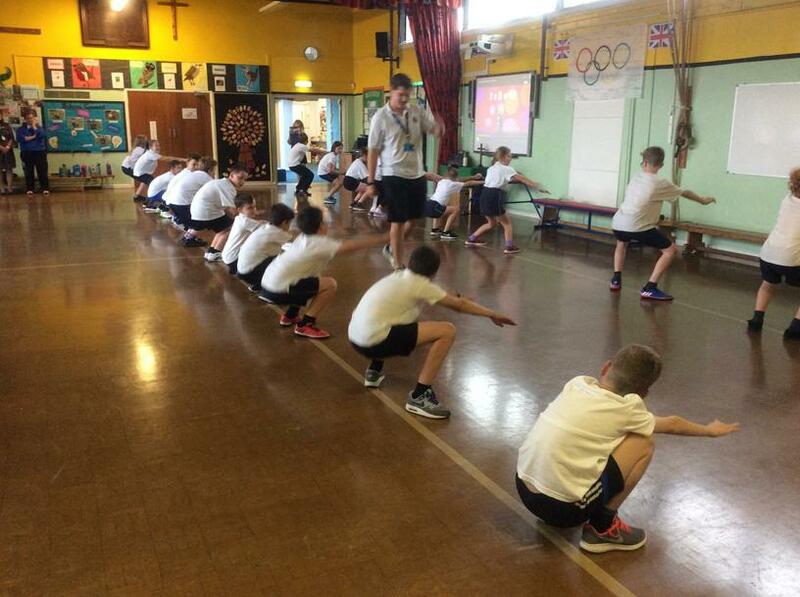 She then encouraged and motivated our pupils as each class completed sponsored fitness circuits - we are trying to raise as much money as possible to have an all-weather track installed around our school field so that we can run the Daily Mile all year round. 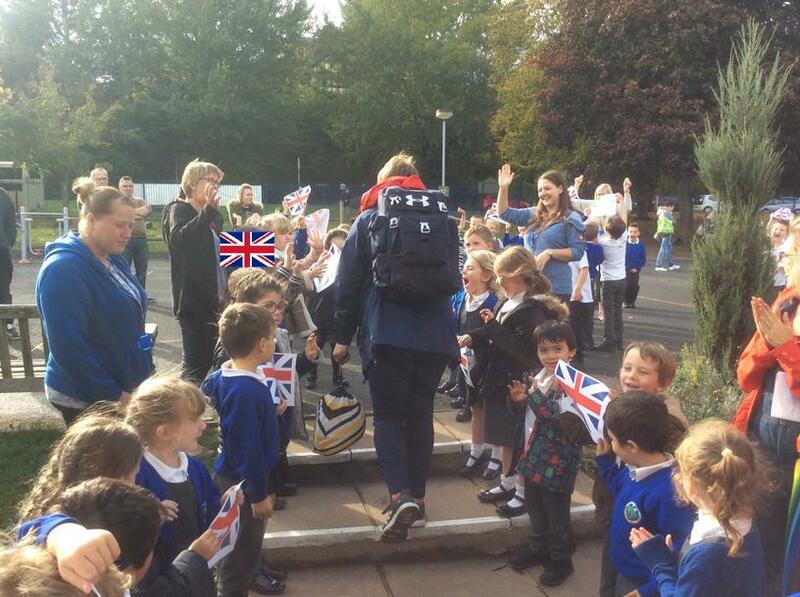 We were lucky enough to spend the whole day with Lizzy (and her two Olympic gold medals) and then gave her a flag-waving enthusiastic send-off at the end of the day! 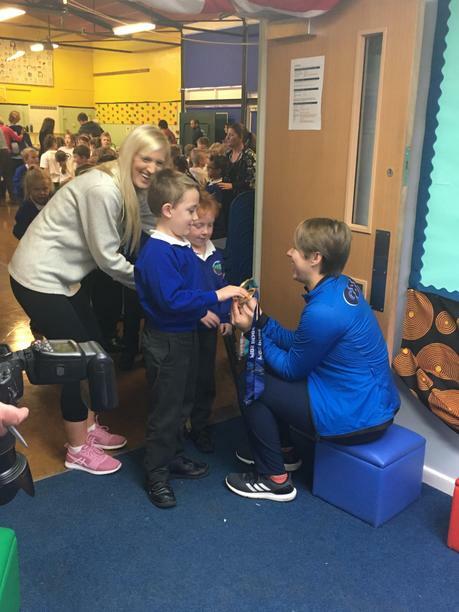 We hope the photos give you a little flavour of how incredible the day was: something that we will all remember and cherish for many years to come. 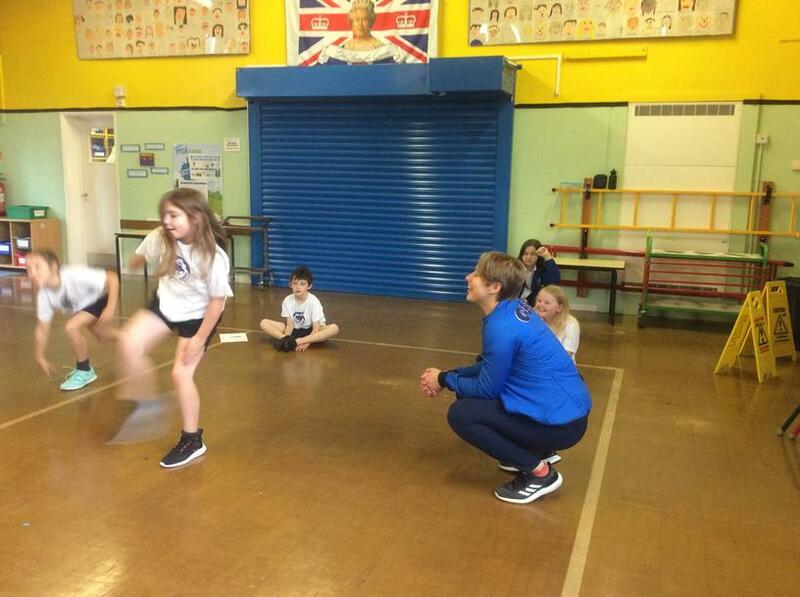 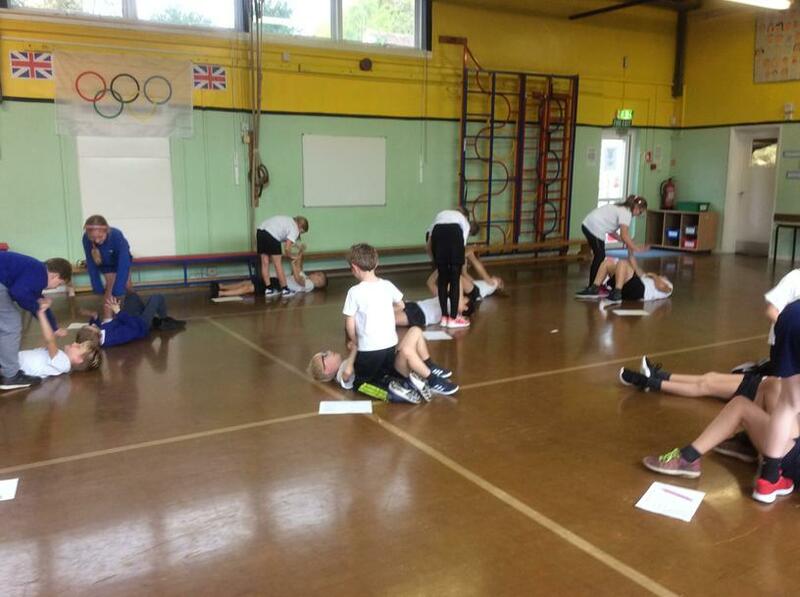 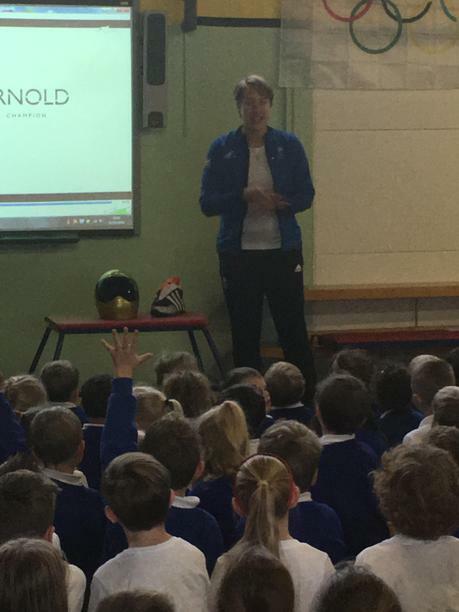 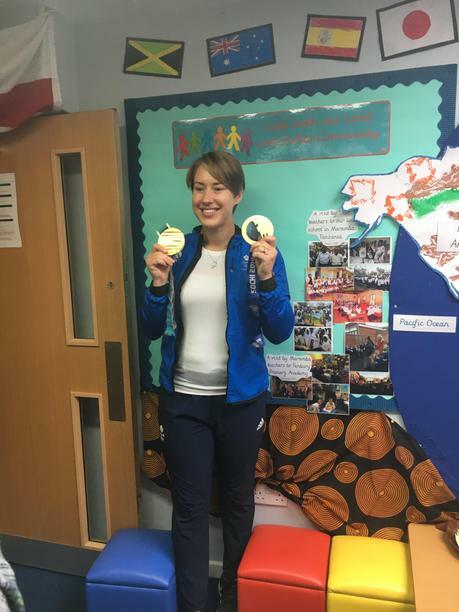 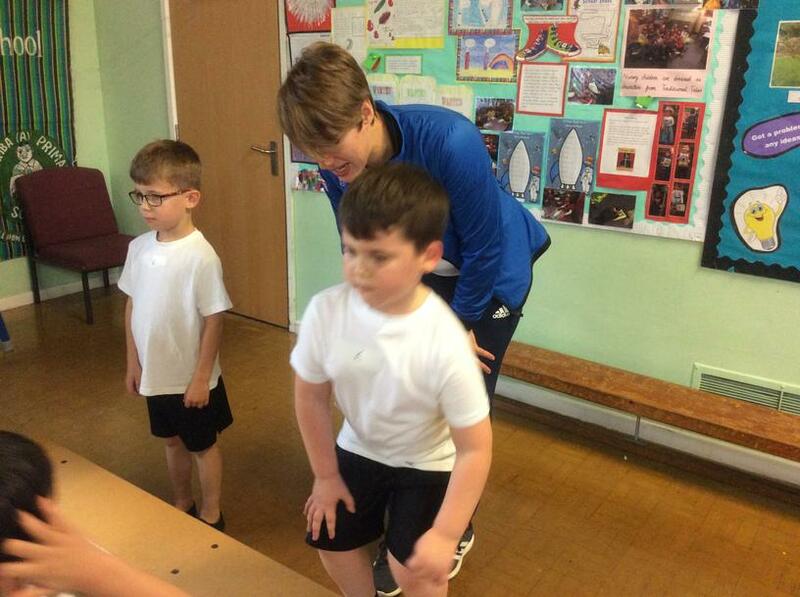 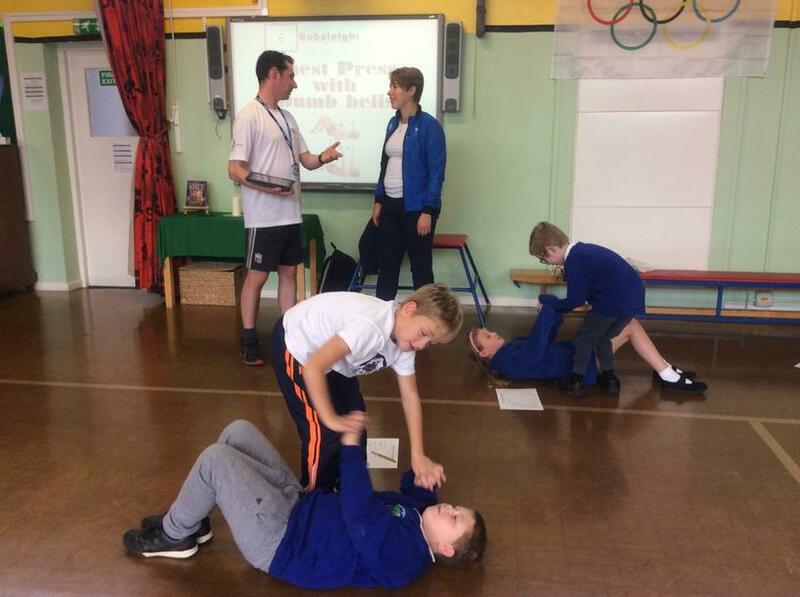 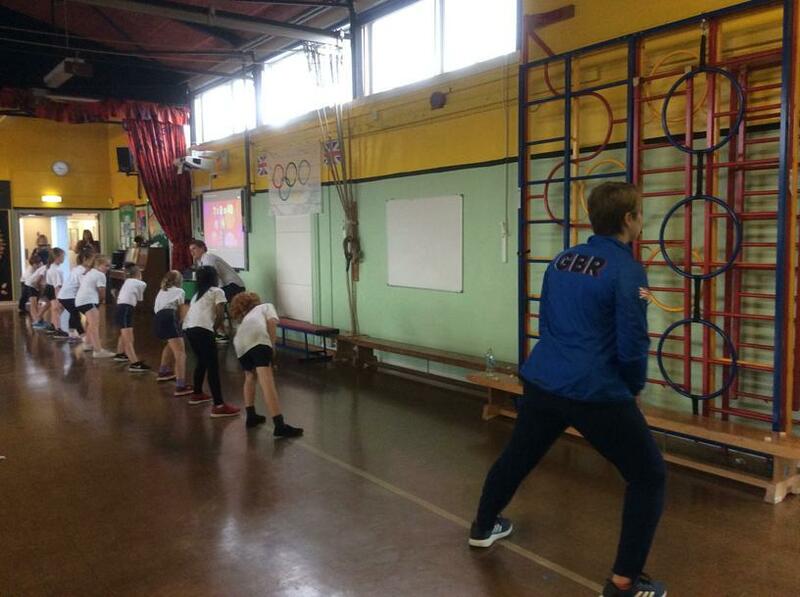 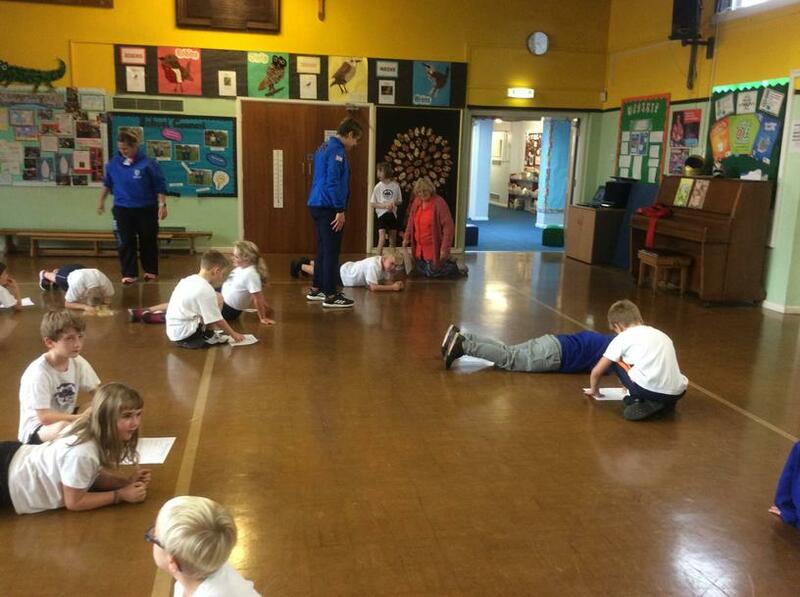 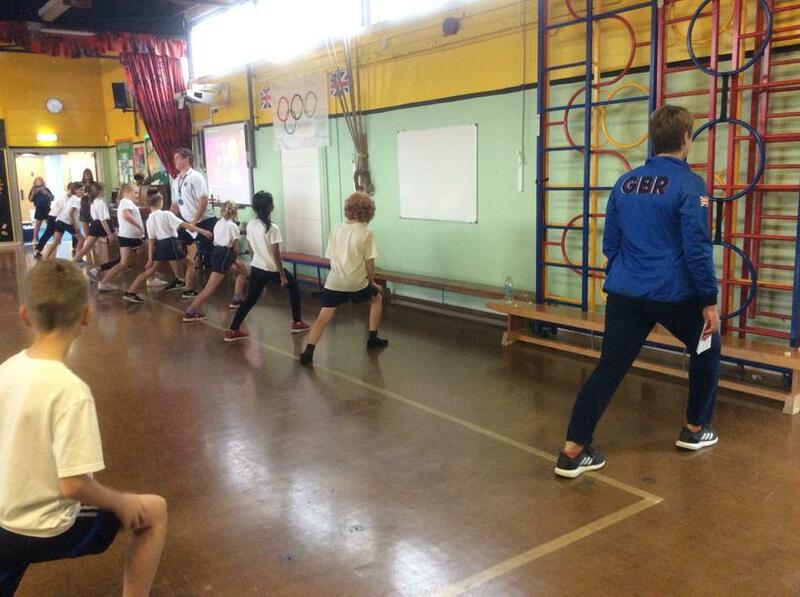 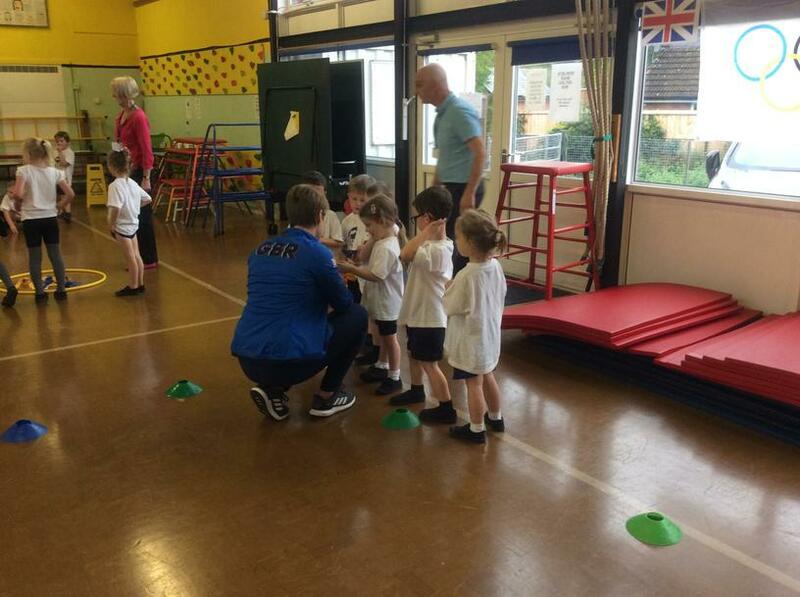 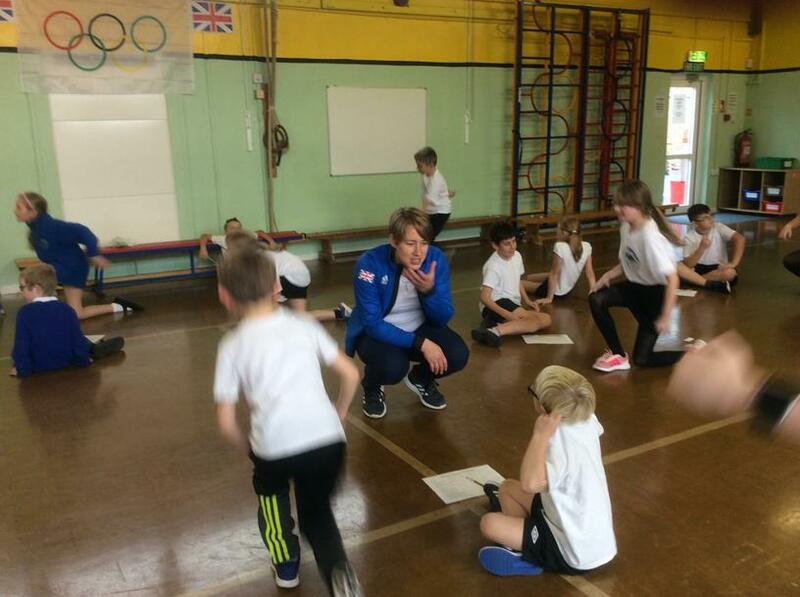 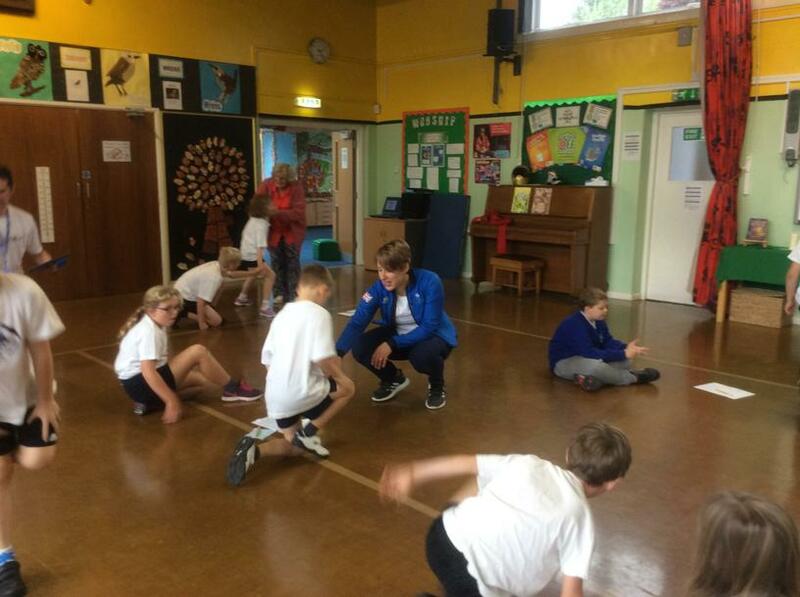 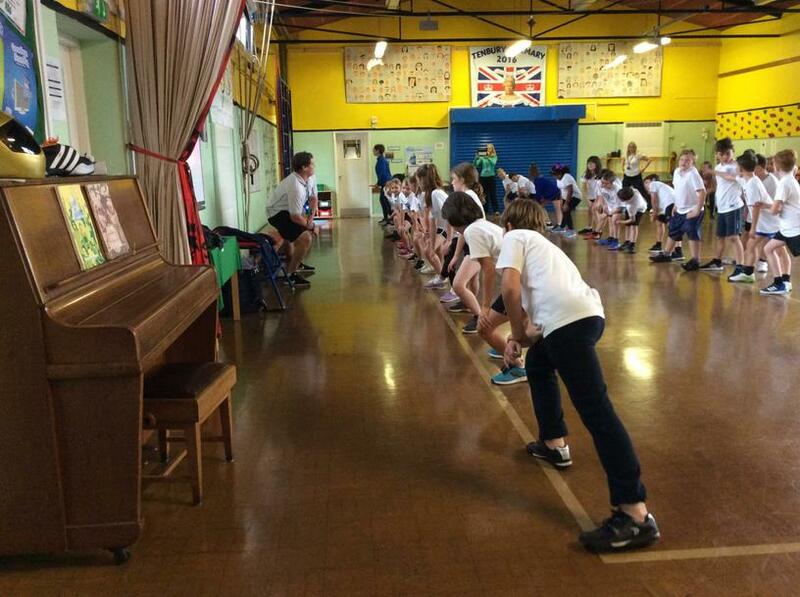 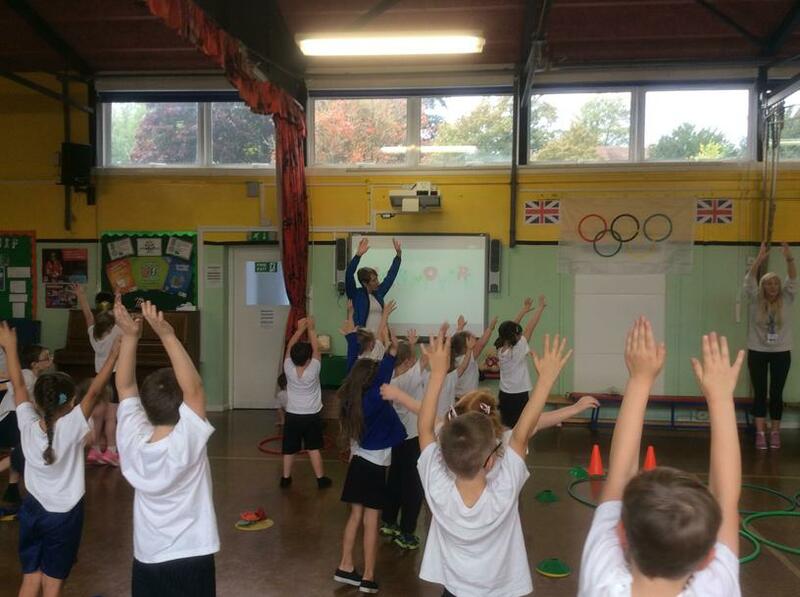 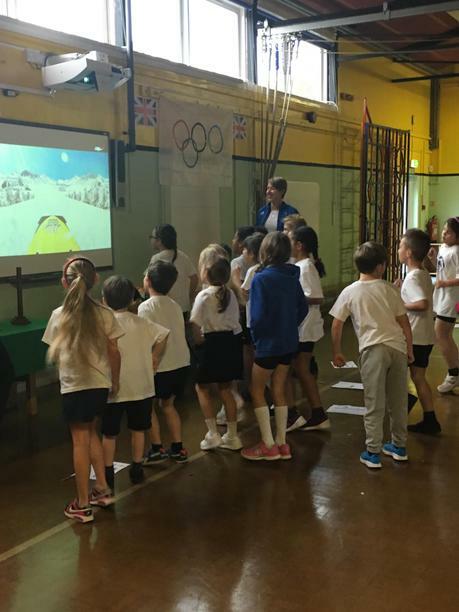 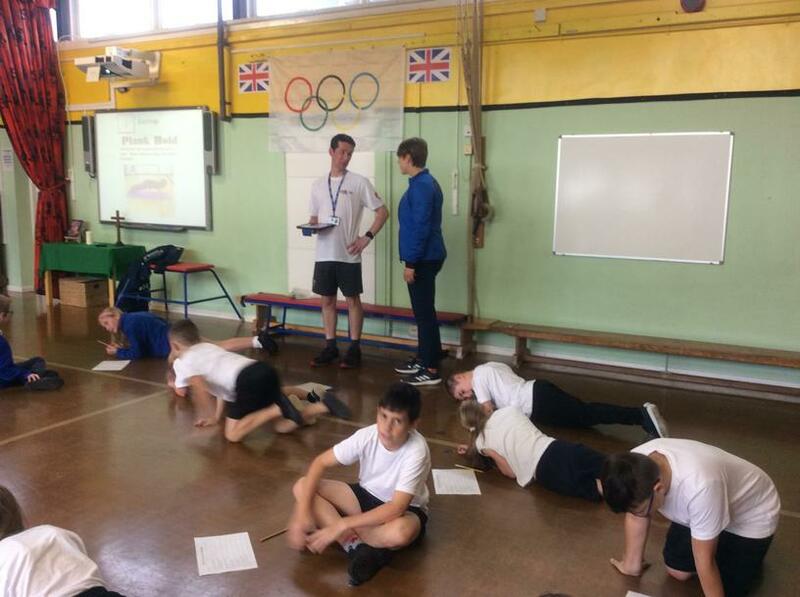 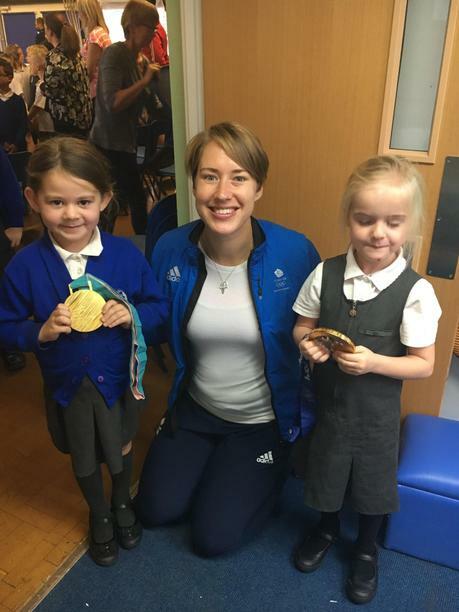 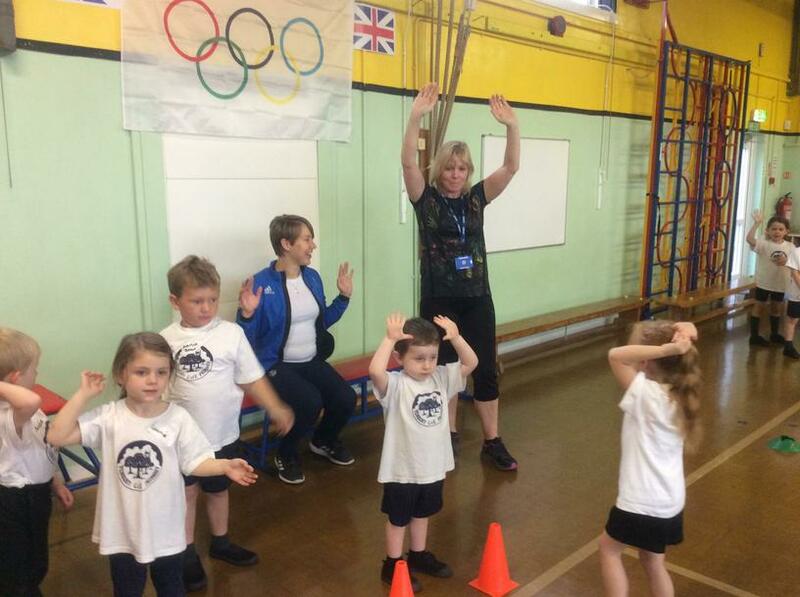 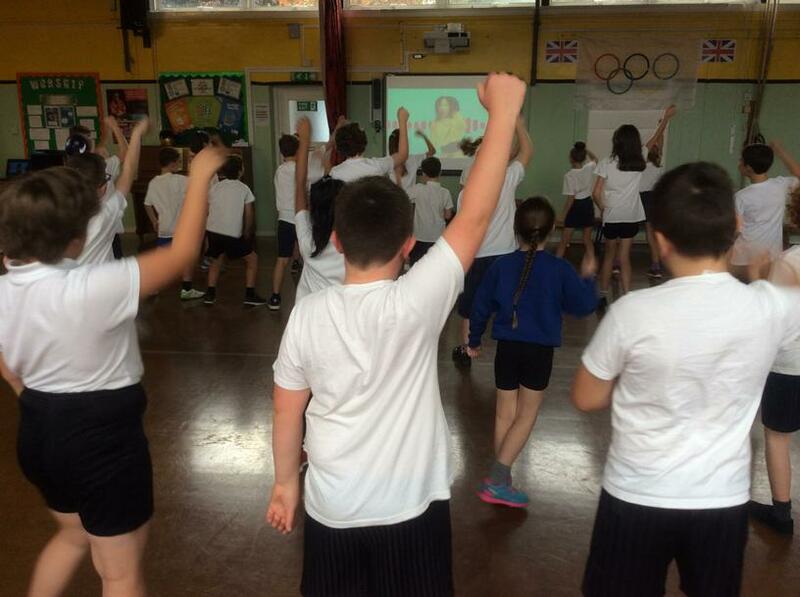 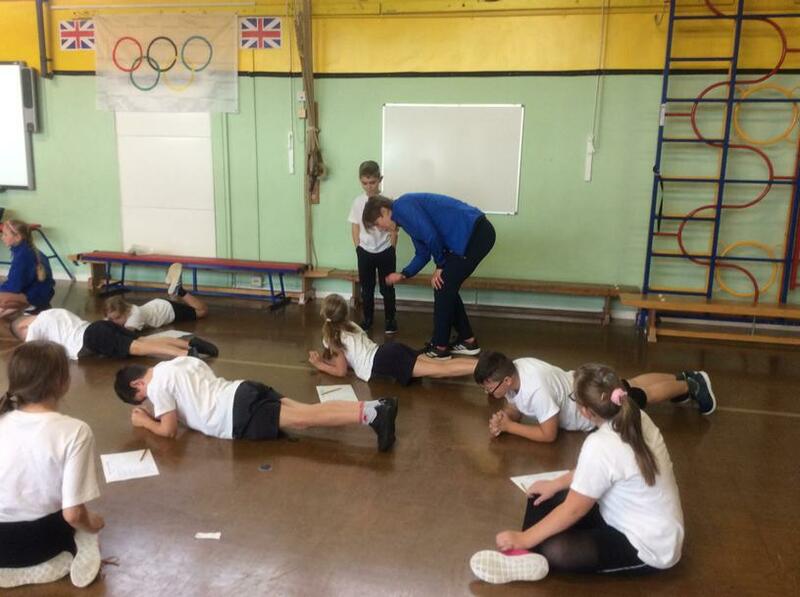 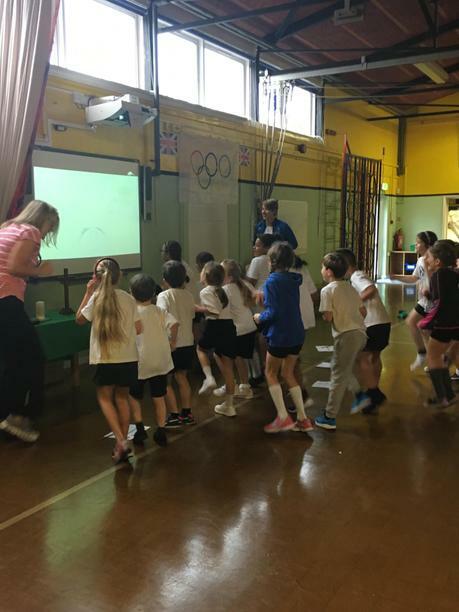 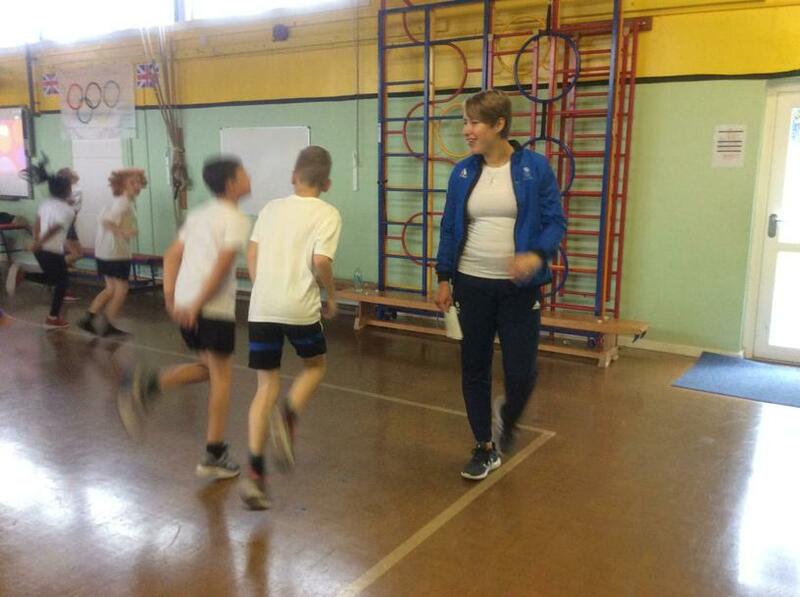 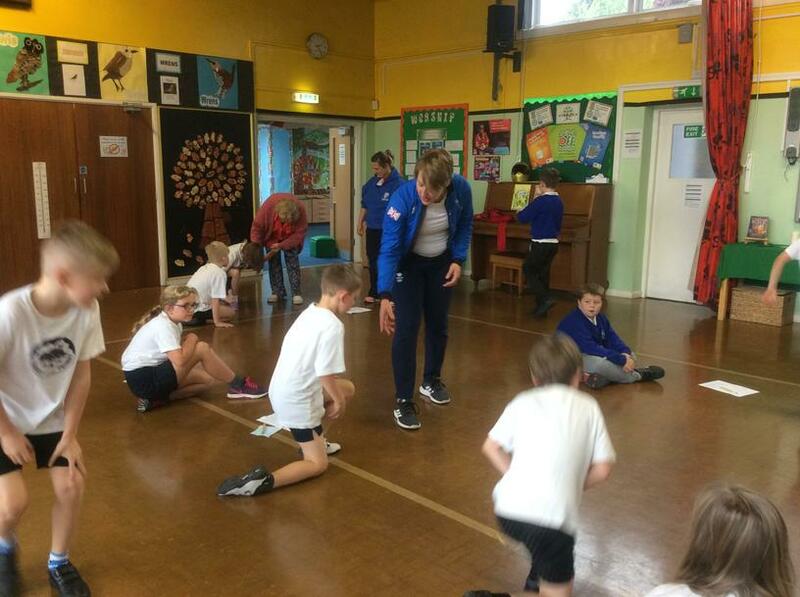 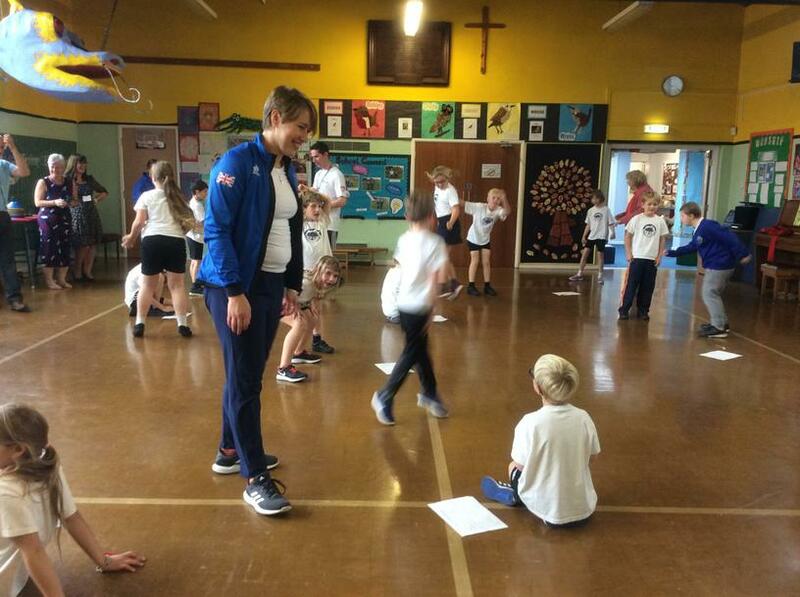 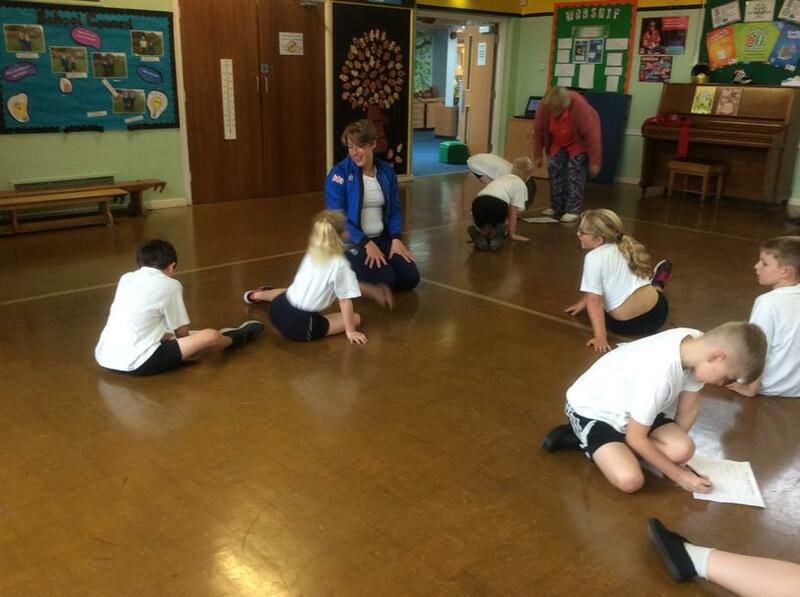 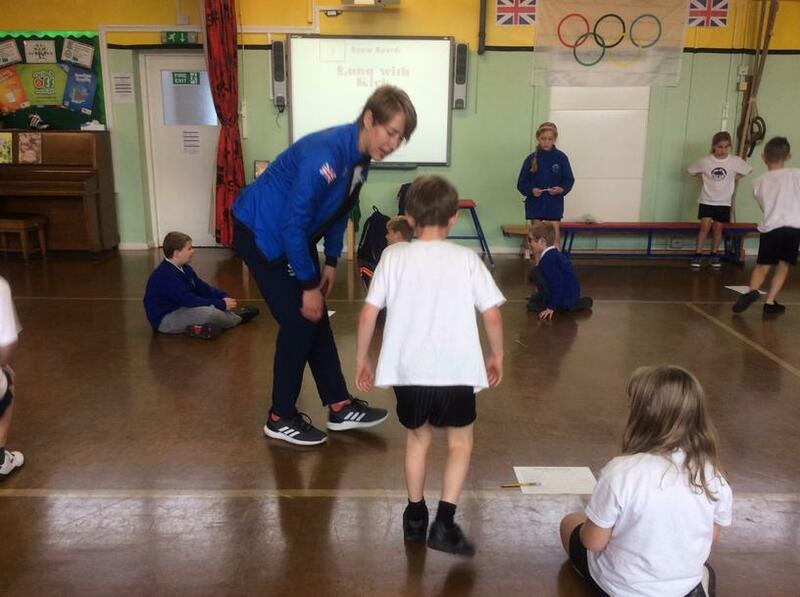 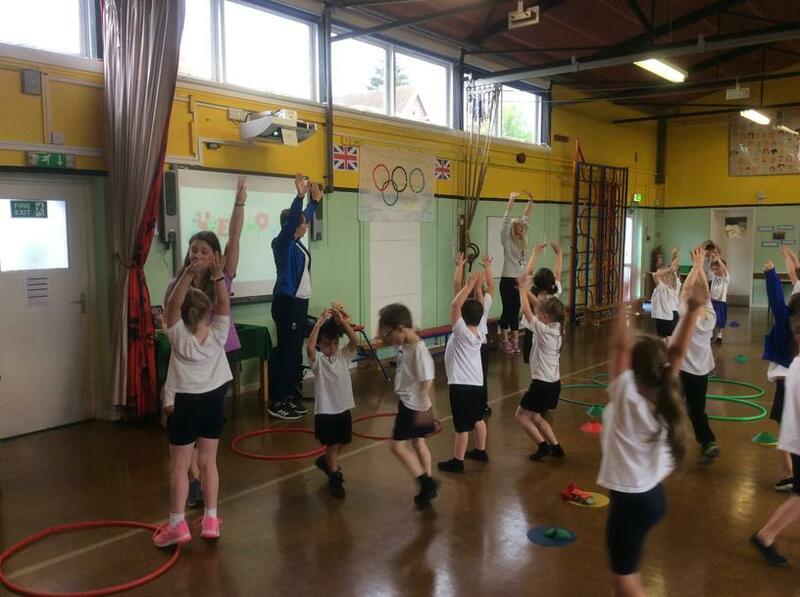 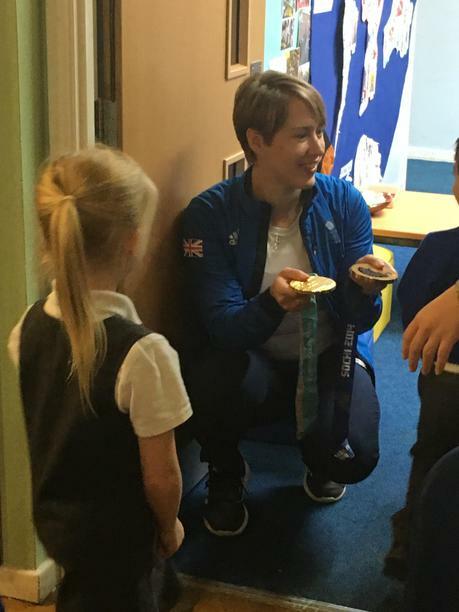 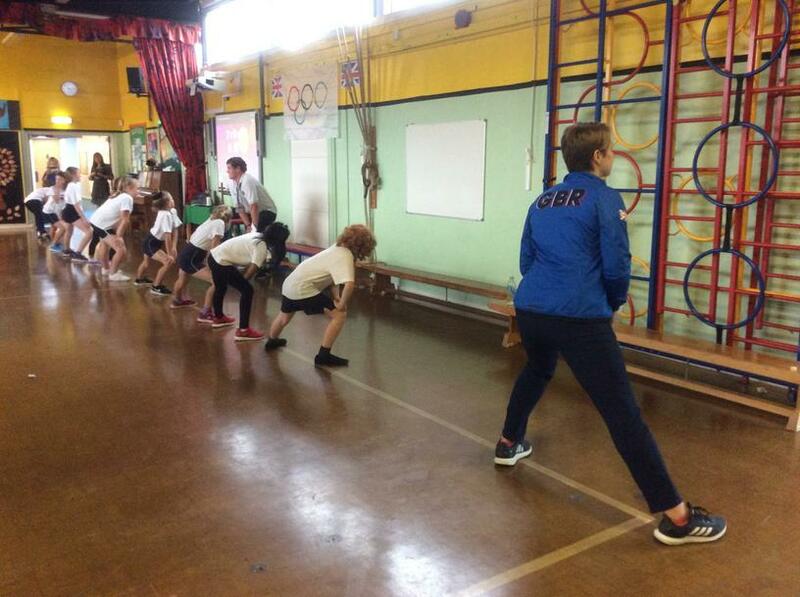 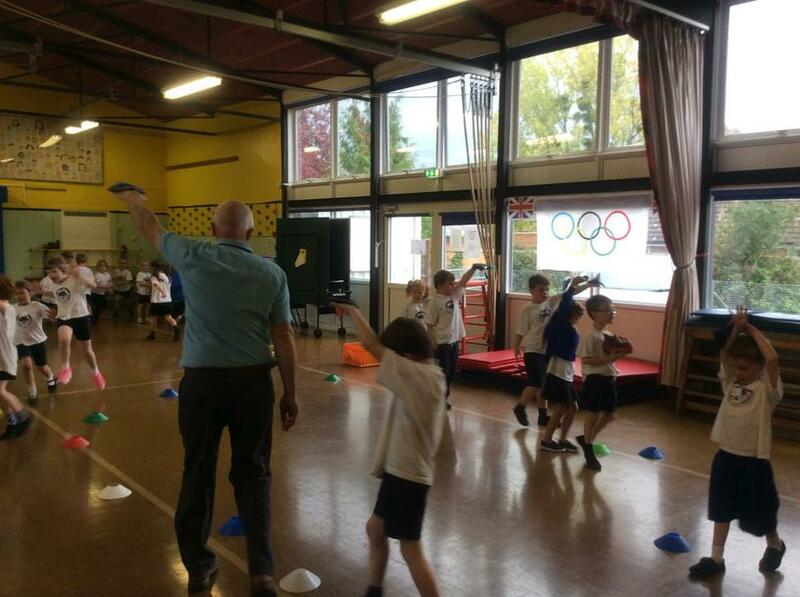 Getting fit, having fun and raising money with Lizzy Yarnold! 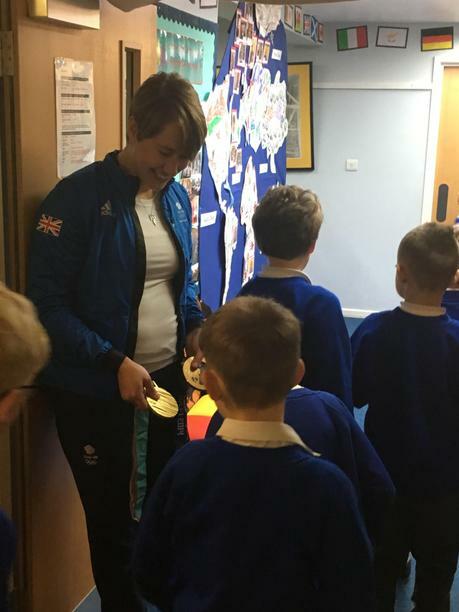 We were very pleased to welcome children's author Helen Wendy Cooper into school on 2nd October, where she read her latest book 'The Kissing Tree' to our KS1 children and then ran poetry workshops in Zebra, Panda and Koala classes. 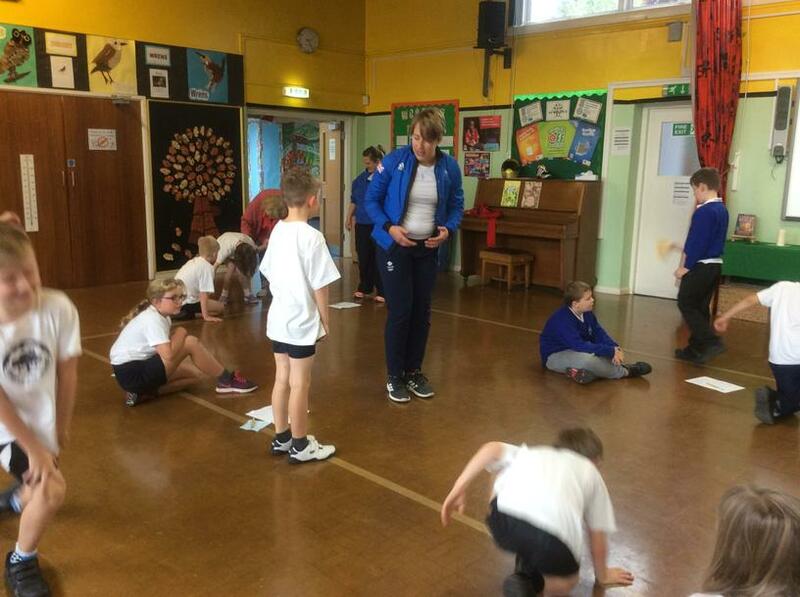 The book was specially commissioned for the Tenbury Mistletoe Festival and is all about Jack the Jackdaw!